Those are my top three choices. The pet connoisseur will notice that none will be level 80. 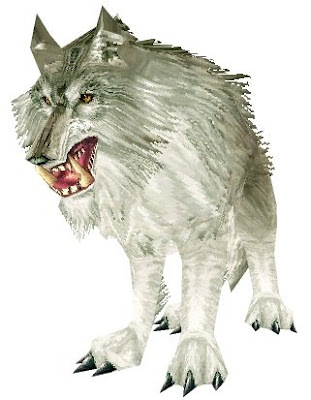 I'm going with classical wolf appearances and staying away from the outlandish. Or perhaps I should say "staying away from the northrendish." If you're in a pinch, you can always go grab a level 80 wolf a short two minute flight north east of Dalaran. I just feel like they're missing something that the above models have in spades. 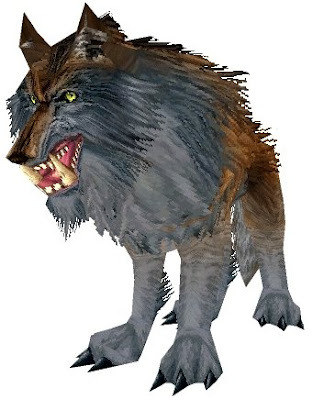 And to be honest, I'm leaning toward the last wolf model. The middle guy is nice (and a Rare I might add), but the light brown eyes of the last model feel right. For the record, my generator is pretty old and clunky. I wrote it in the pre-dawn era around 1995. However, the "language" is inspired by Tolkien's Sindarin. I'm not a linguist, but I gained a healthy respect for the field. My name theme before 3.0 was food related. Bacon, the pig. Chipotle, the fiery scorpid. Pesto, the green ravager. Salt, the black morass leopard. That went out the window once tank pets and exotics became available. (Pre-wrath, but post 3.0.) I remember running to UBRS with a few friends, grabbing the "Jenkins" title and then pulling them down to MC to help me tame a Core Hound. 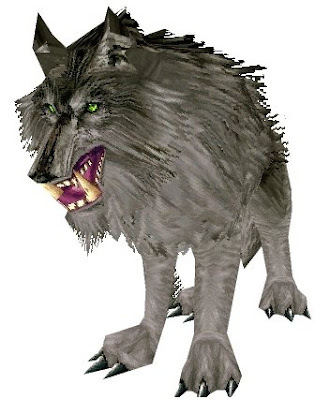 IMHO, the coolest Northrend wolf name is 'Uffe', a common and funny sounding nickname for someone named 'Ulf', meaning 'Wolf' in ancient scandinavian.